Although sharing a tiny dorm room is a rite of passage for many undergraduate students, it’s not always the most fun experience. And, at some schools, it’s also not the most economical choice. For students looking to begin investing in real estate early, or just to save a buck, finding a place off-campus might be a smart starting point. Residential real estate company Redfin compared the monthly cost of living in a dorm at 195 public colleges across the U.S. to the median monthly mortgage for a condo in the same cities to determine where it’s actually cheaper to buy. Read more. It’s still only July, so we still have quite a few hot days ahead of us. That’s good news for those who enjoy fun in the summer, but we should also take a minute to refresh ourselves on some common dangers and how to avoid them. The National Safety Council provides some good, basic tips that everyone should follow. It may be a little late for their “practice firework safety” advice, but “how to beat the heat” and “water safety for kids” are still particularly apropos. Go out, have fun, get a tan, but stay safe this summer! 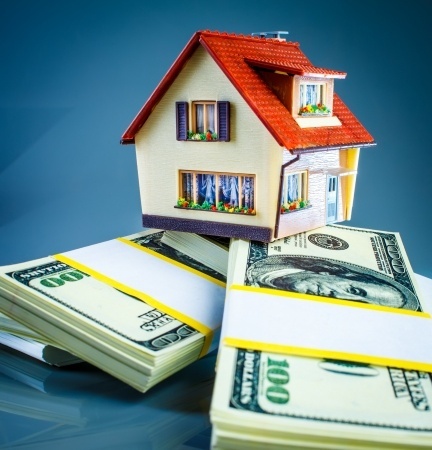 If you’ve done any research into home ownership, then you’ve undoubtedly run across the various ways that making your payment differently can impact your lifetime cost (in terms of interest), and how long it takes to pay down your mortgage. Typical schemes include making one extra payment per year, or dividing your payment in half and paying the same amount each month, but in two installments. Fox News explores the impact of taking it one step farther and making weekly payments. Posted on 07/09/2018 07/09/2018 Leave a comment on How Often Should You Make Your Mortgage Payment? For instance, what if you pay your loan off in 15 years, just as Junior is entering his freshman year at college? You’re footing the bill, so you tap home equity to pay for school. Unfortunately, you may end up paying a much higher ratethan you could have if you had put your extra dollars toward a college savings plan rather than your home loan. Posted on 07/06/2018 07/03/2018 Leave a comment on What’s Your Mortgage Plan? The concept of “getting out of debt” commonly rules our thinking when it comes to financial planning. But there are two types of debt. One is to be avoided, and the other can be used strategically. For instance, if you carried over last month’s meal charges and are now paying a high rate of interest to finance meals that are long gone, that’s not good debt. 1. Using other people’s money to leverage an asset that usually rises in value (such as a home) often proves highly profitable. Inflation works to the owner’s benefit and against those who provided the cash. The owner’s advantage is even greater when the cost of funds is low because the value of the asset can rise faster than the value of interest paid. 2. Leveraging someone else’s cash allows your assets to remain more liquid. Liquid assets can help create a reserve well that is not only deep, but also far from dry. Having more of your own money when the need or opportunities arise can be safer, faster and less costly than scrambling to borrow funds quickly. Posted on 07/05/2018 07/03/2018 Leave a comment on How Deep Is Your Well?